Random thoughts and musings on my life and progress, or lack of progress, as a published author. Welcome to my blog. I am not a very regular blogger, but I try to keep this site updated with news and information. If there's none of the above I may just share my random ruminations. Perhaps she is worrying for nothing. Perhaps, after moving out of London to a strange town, she will settle quickly and put down roots. Why does she fear their move up in the world? Why isn't she looking forward to a life where penny-pinching is consigned to the past? Being comfortable, having money in the bank, living in the manicured suburbs ... will this life undermine her principles? Surely not? FLY OR FALL took many years to write. I started and stopped, put it away and got it out again. There are several reasons for this which I won't go into now, but it was also a difficult story to write. It has a larger cast of characters than I’d ever handled before, and the plot was complicated. There were a lot of balls I needed to keep in the air. Each of the protagonists has a history, they each have flaws and failings, they each keep secrets, but.... They are secrets I do not want my reader - or my heroine - to know until the time is right! Wife and mother, Nell, fears change, but it is forced upon her by her manipulative husband, Trevor. She feels stranded in an unfamiliar landscape, far away from old friends. And there's no comfort to be found in the house they've moved into. It feels like she's living in a building site. Straightforward and honest, Nell is a woman whose default position is to take life at face value, to believe others’ accounts of themselves. She’s not stupid, but it never crosses her mind that others are not like her; that the people in her life might deceive and hide and lie. Halfway through the story, the friends she’s made and the casual infidelity which permeates the atmosphere in which she now lives, tempt her into making a fatal mistake. It is only then that she begins to realise that nothing is as it seems. Everyone - even her nearest and dearest - has been lying. She’s even deluded herself. Some of the deceptions are serious, some trivial, but it’s like a house of cards. Take one away and everything begins to topple. And when an unlikely love blossoms from the wreckage, she believes it has no future. Everything in the life of the woman who feared change, is irrevocably altered. But has she been broken, or has she transformed herself? Will she fly or will she fall? Life has a habit of giving with one hand and taking away with the other. Two things are happening to me at the moment. 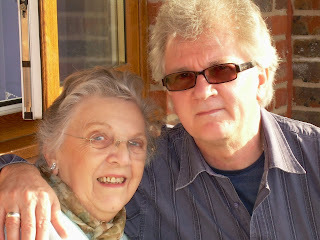 I’ve a new book coming out - the second in my republishing deal with Accent Press - but my mother-in-law has died. Next week, when FLY OR FALL is launched, I'll be in Chichester at Barbara's funeral. In many ways it was a good death. 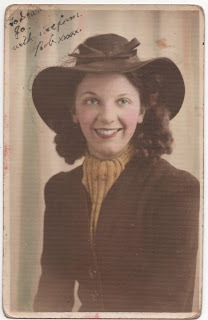 Barbara Williams was 92 and had lived independently almost until the end. 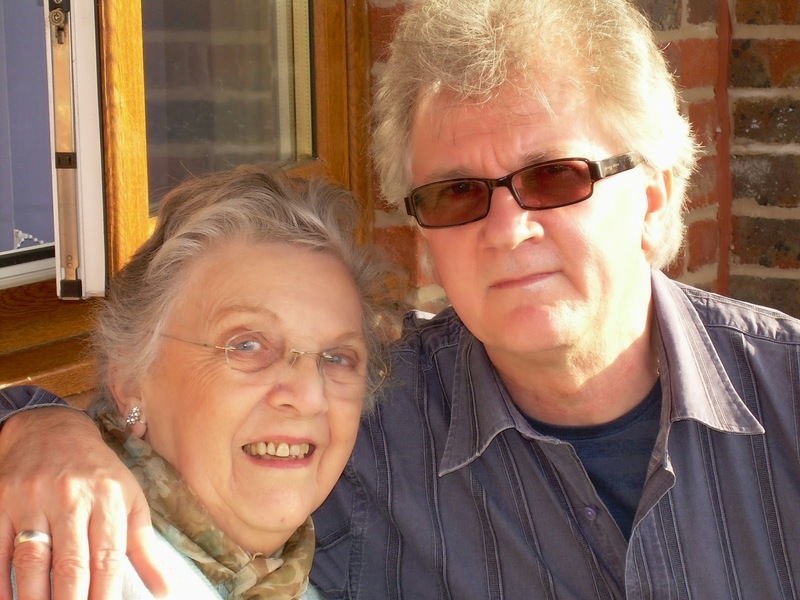 Despite living with cancer for the last few years, she had continued to go to church and for little outings and lunches with her boyfriend (who lived in the flat next door) right up until the beginning of 2015. When her health began to decline more dramatically, the day’s out ceased and she was cared for at home. Nurses from Saint Wilfrid’s Hospice came in three times a day to attend to her needs. It would have been kinder if she’d slipped away then, while still living in her own surroundings, her bits and pieces, photos and ornaments, all around her. But a week and a half before her death it became unavoidable that she be taken into a nursing home. In the terminology of the Saint Wilfrid’s nurses, she had become too vulnerable. Nursing care needed to be on-site and full-time. The staff at the home were caring and kind. It was a pleasant place, airy and spacious with big gardens and sea views. But Barbara was too poorly to appreciate the amenities. She didn’t want the bother of being taken downstairs to the lounge . I’m glad the time she spent in her bedroom there, was short. We’d seen her a few days before, but we weren’t there at the last; her son, Paul, was at her bedside. It cheers us to have been told that she was in good form on the day preceding her death and enjoyed a full English breakfast. It’s an image of her resilience and attitude to life that will stay with us. Barbara was one of my biggest supporters. She always read my books in manuscript form and would express astonishment I couldn't get a publisher. It was a great joy to me that she was staying with us last summer when the news of my Accent deal was confirmed. I was able to tell her I'd found a new publisher after..... a long time. She was thrilled. 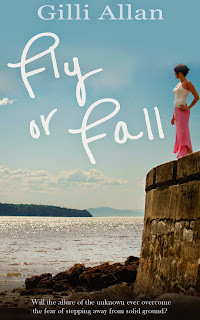 On the 21st May, FLY OR FALL, is launched in its beautiful new cover. It is actually the third of my self-published novels, but Accent Press are bringing it out second, in my three book republishing deal. The books aren’t linked so there’s no problem with that. I won’t waffle on; in the next few weeks I’ve a few appearances lined up around the web, where you’ll have a chance to find out more about the book, and about me. The first is at BrookCottage Books on the 22nd, where I talk about the strange and disturbing coincidences that occurred to me - my life began imitating my plot - when I first started writing FLY OR FALL. The second appearance is at A Woman’s Wisdom on the 25th. There I am interviewed, and you can read an opening extract from FLY OR FALL. Here's the blurb to be going on with! “Wife and mother, Nell, fears change, but it is forced upon her by her manipulative husband, Trevor. Finding herself in a new world of flirtation and casual infidelity, her principles are undermined and she’s tempted. Should she emulate the behaviour of her new friends or stick with the safe and familiar? But everything Nell has accepted at face value has a dark side. Everyone - even her nearest and dearest - has been lying. She’s even deceived herself. The presentiment of disaster, first felt as a tremor at the start of the story, rumbles into a full blown earthquake. When the dust settles, nothing is as it previously seemed. 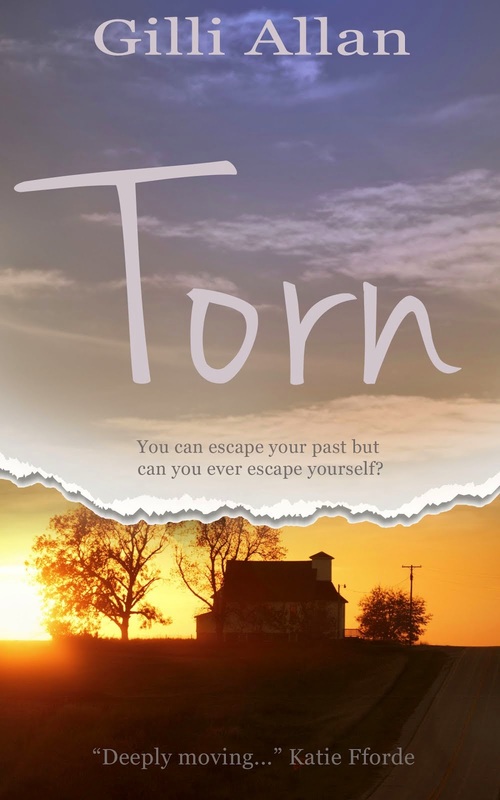 And when an unlikely love blossoms from the wreckage of her life, she fears it is doomed. The future, for the woman who feared change, is irrevocably altered. But has she been broken, or has she transformed herself?" 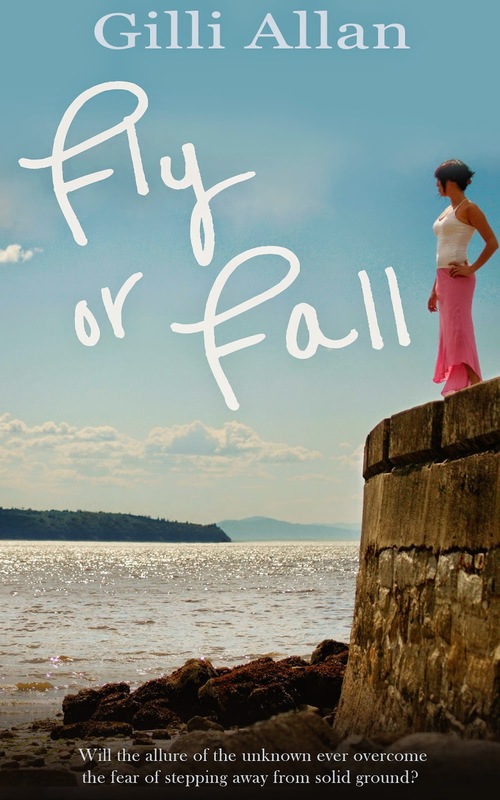 FLY OR FALL is not published until Thursday, the 21st May, but is available to pre-order. "...emotional, sad, happy, funny and just generally fab!" says Kim Nash. I went to art school and originally worked as an illustrator in advertising. I began writing seriously when our son was small. Though the contemporary women's fiction I write will always have a love story at its heart, my books are unpredictable, edgy and unconventional. I had my first two novels published almost immediately - Just Before Dawn and Desires & Dreams - but my publisher ceased to trade and I went independent. My books - TORN, LIFE CLASS and FLY OR FALL - are now published by Accent Press. Still a keen artist, I draw and paint and have begun book Illustration.I live in a beautiful valley in Gloucestershire, and still feel as I did when we first moved here - as if I'm on holiday and will have to return to reality some time soon. But I wouldn't be able to live the life I do without the support, emotional and financial, of my husband, Geoffrey. Now grown up, our son Thomas Williams is a curator at the British Museum and has just written his first major book, Viking Britain-An Exploration published by William Collins.